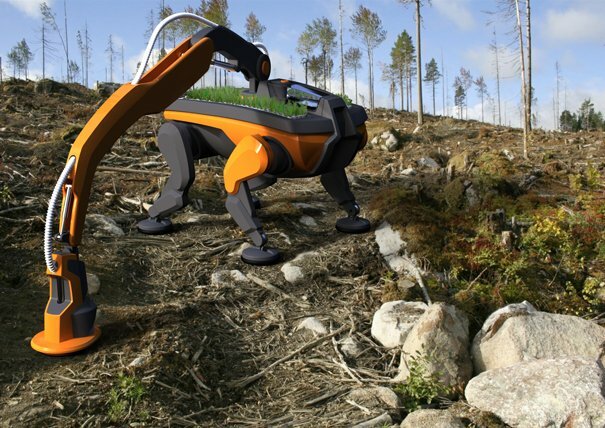 Yanko Design developed a walking tree planiting robot which we don’t think has been build. The challenge of tree planting is huge and it seems people are still the best way to quickly plant trees. 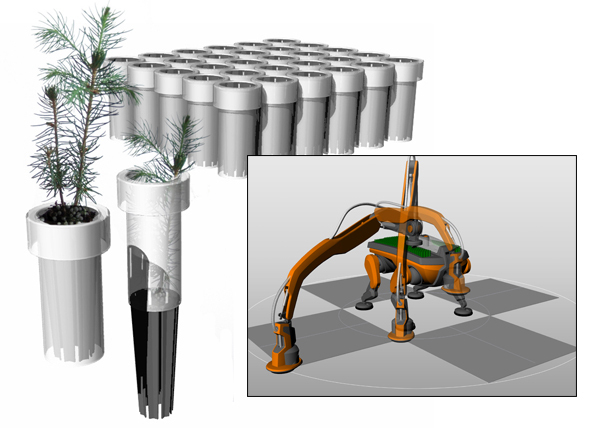 However in the Roboeconomy remote regions with next to no people suddenly become viable for building resource buffers using renewables and robots. For now as CO2 needs to be sequestered, remote new forrests won’t be buffers, but simply a way to increase carboncapture and provide habitats for animals (thus protecting species). This entry was posted in Roboeconomy on August 18, 2016 by admin.